 OrderYOYO is looking for a sales driven candidate whose responsibilities are booking meetings for our sales representatives in the UK and Ireland by telephone. What is OrderYOYO? We are the number one white label software company in EU for restaurants. Your role is a phone-based role with responsibilities of bringing new potential clients to our business. We are looking for an enthusiastic, energetic, ambitious and sales skilled person in the early stages of their sales career to join a company that is expanding fast. To succeed in this position is to be consistent, hardworking and have a strong resilience to move over the obstacles. Planning and prioritizing sales meetings for our sales representatives. The role will be based on consistent achievement of predetermined and measurable KPIs for all outbound activities. Work with the sales department as a team. You will be working from our office located in Copenhagen, and here you will get colleagues from all over the world. If you are interested in working in an international environment in growth and ready to hit the phone, apply now from the link below.